Flying over 16 hours to London to attend a leadership summit and to meet delegates from 16 different countries is definitely an adventure in itself. Amid the worries about ‘fitting in’, I came with a set of preconceived notions about what I could be expecting when I arrived. I’ve never met people from at least 75% of the countries listed before. Indeed, it was an eye-opener. 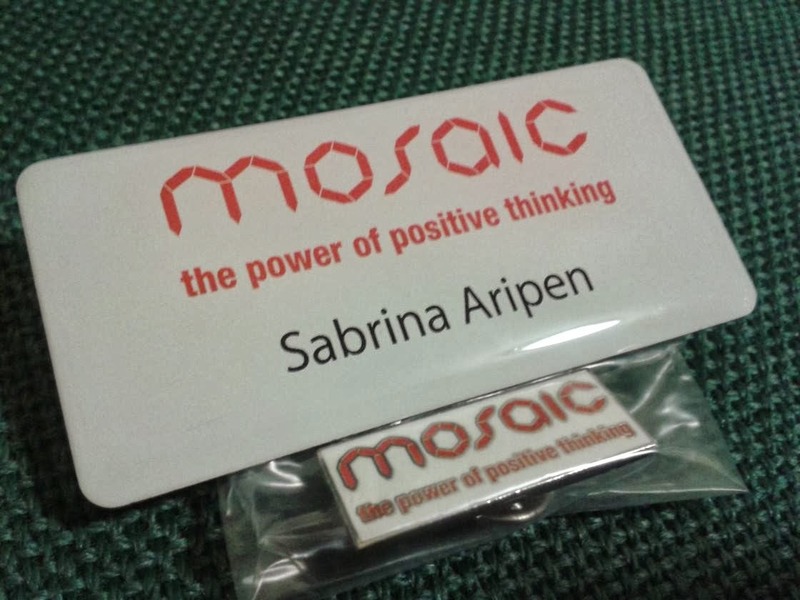 I ended my last blogpost with some insight on the speakers that we heard from on the first day of the Mosaic Summit in the University of Greenwich. The day actually did not end just there, but we continued on with a special project – a Team Building Art activity, facilitated by representatives from the Prince’s School of Traditional Arts. With the words ‘Art’ and ‘Teambuilding’ in one sentence, I somehow visualised an open space, mural painting and the like. Perhaps a little chaotic as well to accomodate the some 80 plus people in the summit. However walking into the room, we were greeted with orderly slips of paper on the table, with gilded dotted strips, pens, small paint brushes and palettes. We were doing something that is inspired by Islamic designs – geometric shapes and interlaced web of straps. 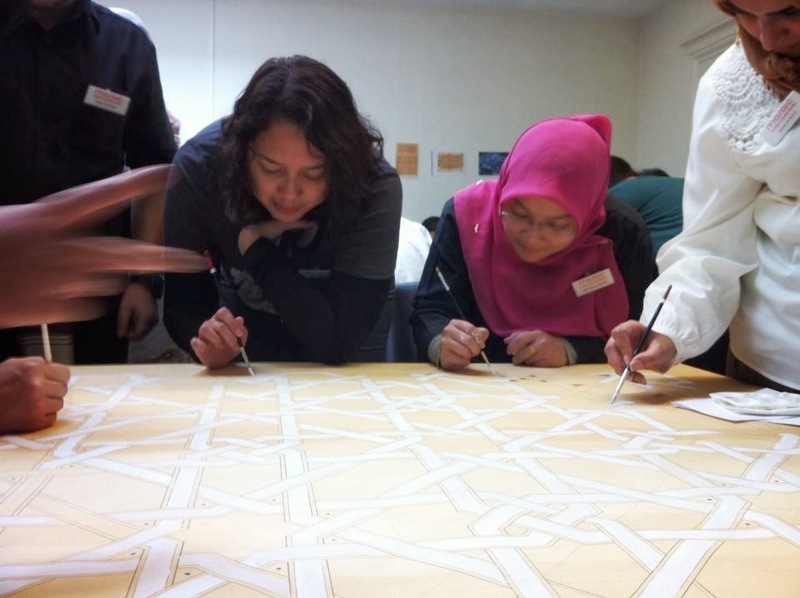 The first lesson: Connecting the dots to make a nice ‘plaited’ border for the artwork! 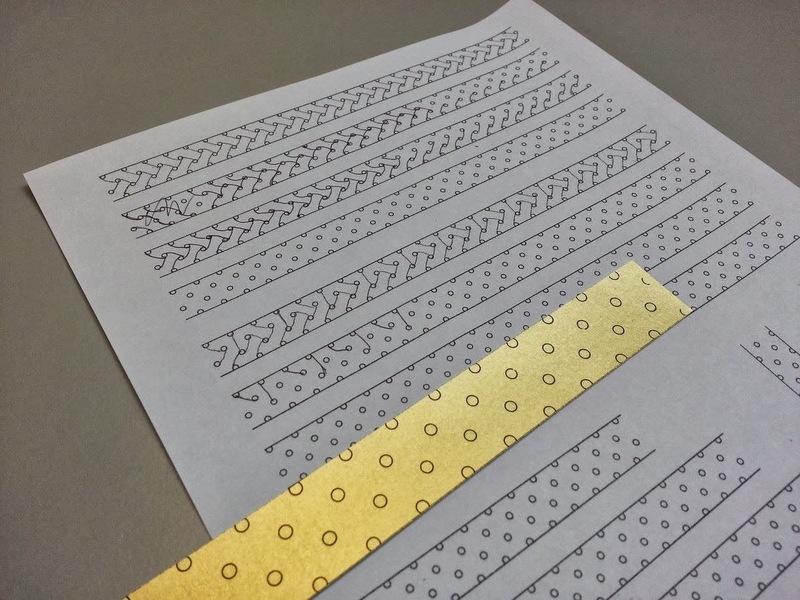 First we practiced on getting the patterns right on the A4 paper. Then do it for real on the gilded slips. Next, we painted the dots blue or red. After finishing the borders, some continued painting on some pretty individual pieces, but I decided to join another table to paint on the bigger art piece where the small individual pieces will be pasted on. Just like pieces of a puzzle. 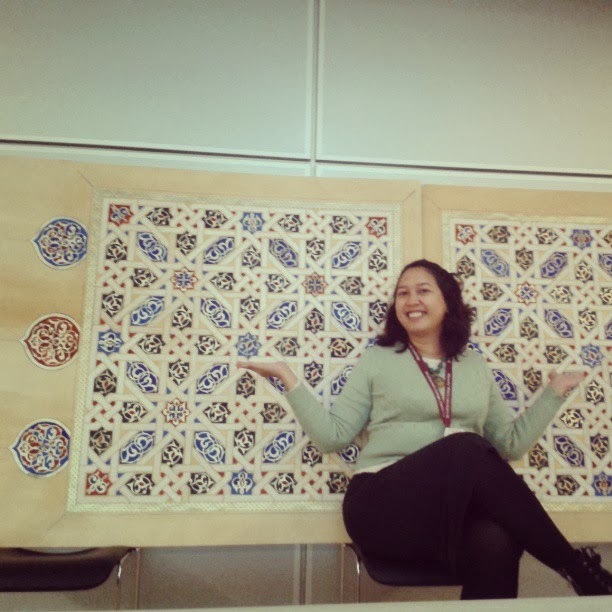 Or mosaics. Almost there..! I must say – I am not the most talented painter, in fact I always always always failed art in school. I made a few smudges here and there… but still, the final artwork is gorgeous! And everyone had a part in creating it. 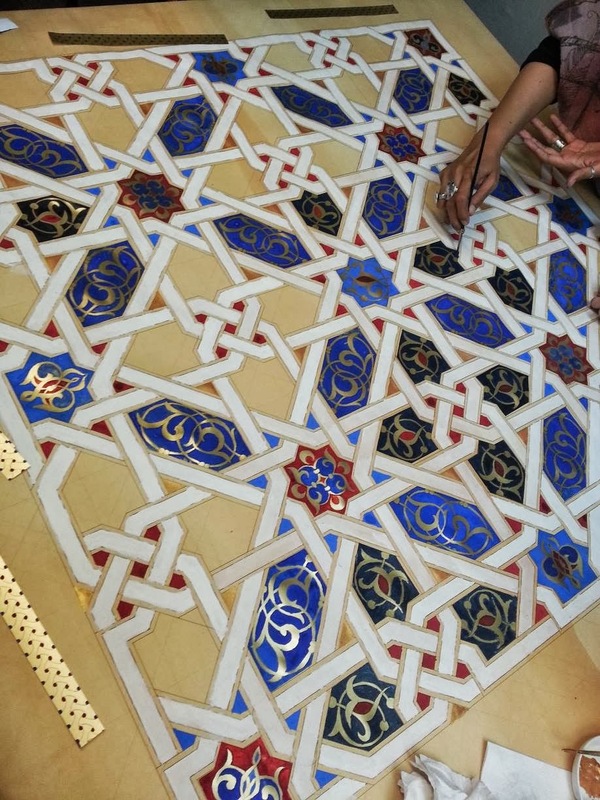 The final piece was presented for show to HRH Prince of Wales during the reception that he hosted for the Mosaic delegates at his London residence – Clarence House. There wasn’t much time to spare, as then it was time for the Open Forum where delegates are free to share a presentation, a speech, a performance or whatever for 5 minutes. I had put in my name, and decided to speak a little about where I come from, and my passion for gender equality. 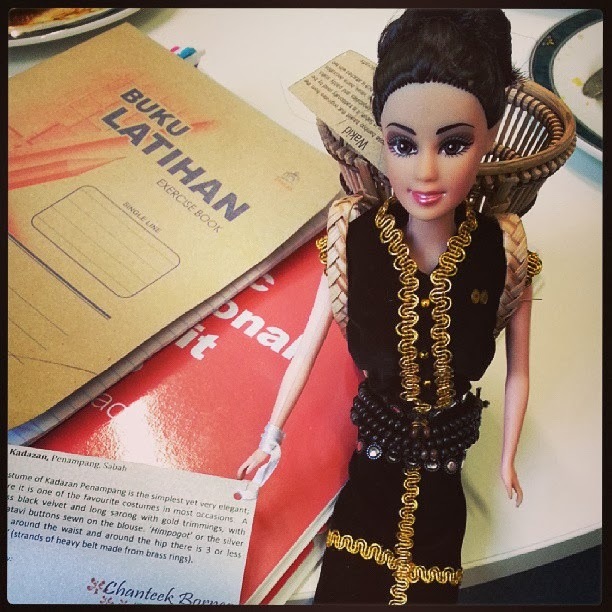 I had brought with me a couple of souvenirs that were sponsored by Chanteek Borneo, including a few collectible dolls to be given away as gifts to delegates. Which was a good thing, since I could use one as a prop for my speech. Incidentally, I had also bought a wakid, a backpack made of woven rattan and was able to slip it on to the doll, which represented the KadazanDusun community in Sabah. I also used my nice kain dastar bag and Vinusak beadwork necklace by the Rungus community to illustrate a few points about the contribution of women in the society and why I am who I am. I was pleasantly surprised that many came up to me and said it was a very inspiring speech. It was a good start to the summit. On the second day of the summit, we were honored to have Peter Sanders. a photojournalist with us to show some of his work. Peter is internationally recognised as one of the worlds leading photographer of the Islamic World. You could feel a vibe of calmness that surrounds him as he showed us photo by photo, each of which was incredibly beautiful and profound. A picture speaks a thousand words, and nothing is more true than that when you viewed his presentation. His project – The Art of Integration is a graceful and visually poetic reminder that Muslims have been a part of British life for well over a century and have made and continue to make an important contribution to the United Kingdom’s rich cultural diversity. We also had Aaqil Ahmed, the first Muslim to hold the post of Head of Religion and Ethics at BBC as one of the speakers of the day. It was interesting to note his outspoken and strong presence, in contrast with Peter’s quiet yet impactful approach. Being Muslim, his appointment had initially cast many fears on viewers that Christian faith is being sidelined and downgraded on the television network. He shared with us the many challenges he had to face to dispel the negativity that surrounds Islam and prove that Islam is a religion of peace. 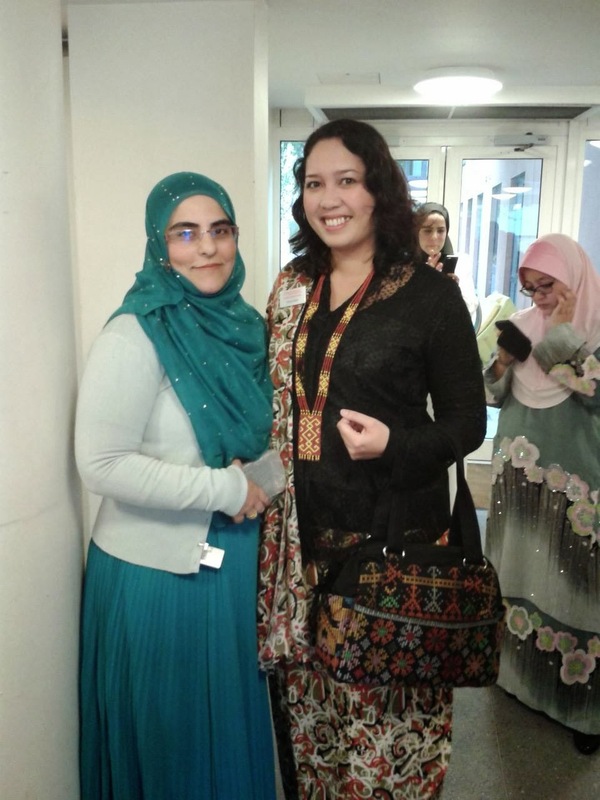 Our fifth speaker – Bushra Nasir, was voted one of the UK’s most power Muslim women. 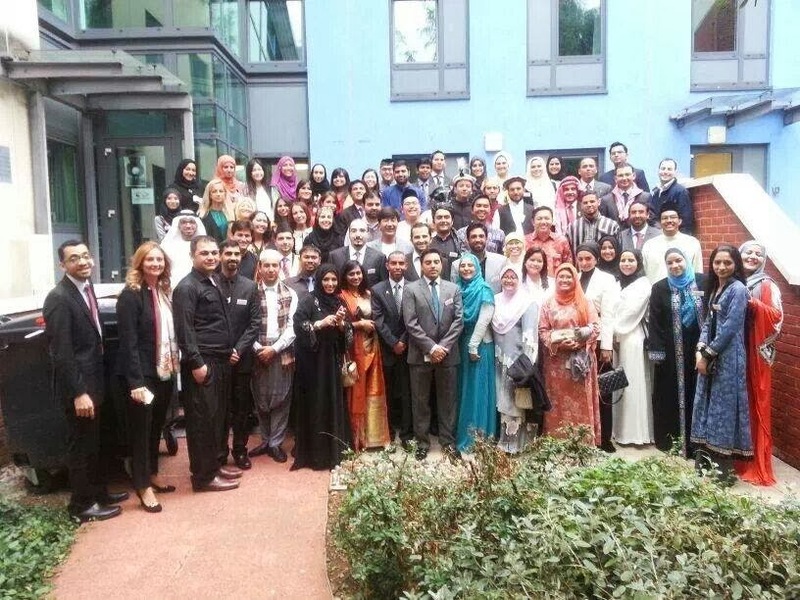 The first Muslim female headteacher of a British state school – Plashet school, she talked about how she had revived a failing girls’ school in the London borough of Newham (one of the most deprived boroughs in the country) into one that is highly esteemed. According to her, mixed faith schools improve social cohesion. After a powerful morning followed by a good lunch, we expected to be wilting over like flowers in the heat when we were introduced to the last speaker for the day. One and half hours… phew!! It was not meant to be. He had us all sitting up straight in our seats as we savoured everything he had to deliver. A very entertaining speaker (and obviously a very talented and engaging teacher), John May is the Secretary General of the Duke of Edinburgh’s International Award. He is a campaigner, teacher, youth worker, writer and broadcaster who has spent his career working with and for young people in the UK and around the world. The second day ended with some sharing by all the group leaders, all of whom were delegates in previous summits, on what they have accomplished since then. On the third day, we had 3 speakers with us, before we had to prepare for our grand reception hosted by HRH Prince of Wales. In the morning, we had Stephen Howard, Chief Executive, Business in the Community, as well as Khawar Mann – chairman of Mosaic, is also currently chairman of Medsi Group, the largest healthcare provider company in Russia. 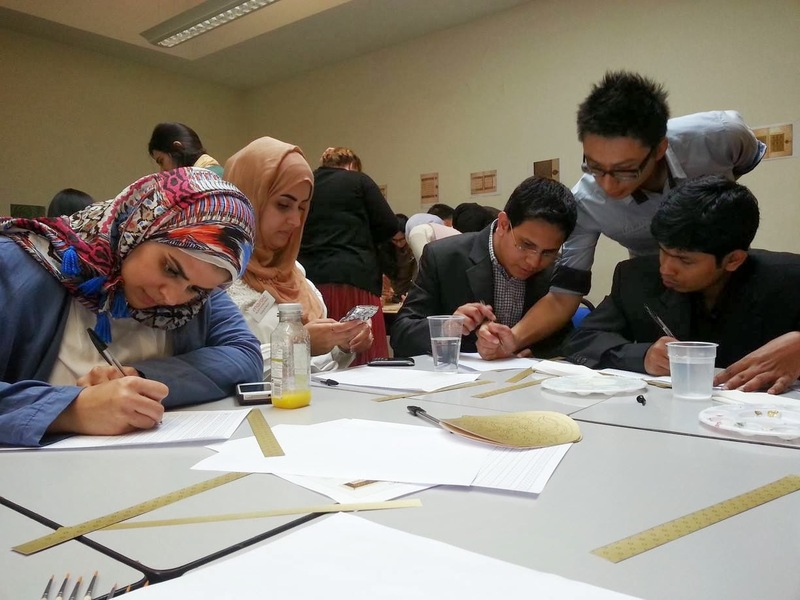 Khawar’s main message was that we should go out and do something that really inspires us. He also told us that if 80% of the time you are complaining about your work, have the courage to leave. In the afternoon, we had Dr Alan Knight, Environmental Sustainability Director, Business in the Community. He has over 25 years’ experience working with global and national organisations, advising them at board level on global sustainable development issues which affect business, society and individuals. Sustainability is all about long term solutions, doing things that address the problems, not the symptoms. We should aim to leave a legacy – what do you want to be remembered for? After a short briefing, it was all hustle and bustle as we excitedly got ready in our finest garments in preparation to meet Prince Charles. 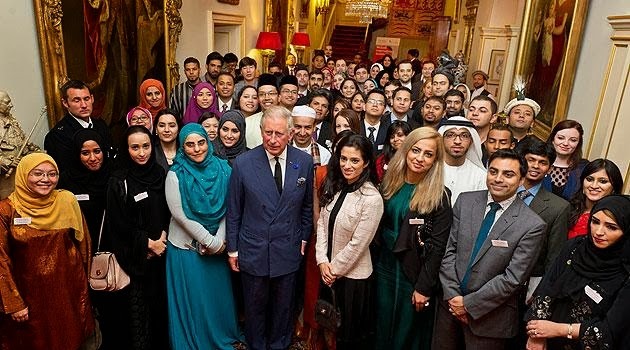 HRH the Prince of Wales hosted a special reception for the Mosaic delegates at his London residence – Clarence House. **I wonder though if the date was chosen as to its significance? It was also the 12 year anniversary of the 9/11 attacks. The lobby was full of excitement as each delegate entered, in traditional wear. As I was the sole representative of Malaysian Borneo (Sabah and Sarawak), I decided to add something tribal that I feel can represent all the different parts of Malaysia. So I wore the conventional lace kebaya, but paired it up with some Sarawak prints for the sarong and selendang, and wore beadwork by the Rungus community of Sabah. And of course, accompanied by my ever favourite Kain Dastar bag from the Iranun community of Kota Belud. It was a foot-aching 2 hour wait… but it was worth it. A seemingly soft-spoken and humble gentleman, HRH the Prince greeted every single guest with a handshake or a smile, and spent some time talking to everyone. Accompanying him was Founder Chairman of Mosaic, HRH Princess Badiya bint El Hassan of Jordan. It is such a great honor! 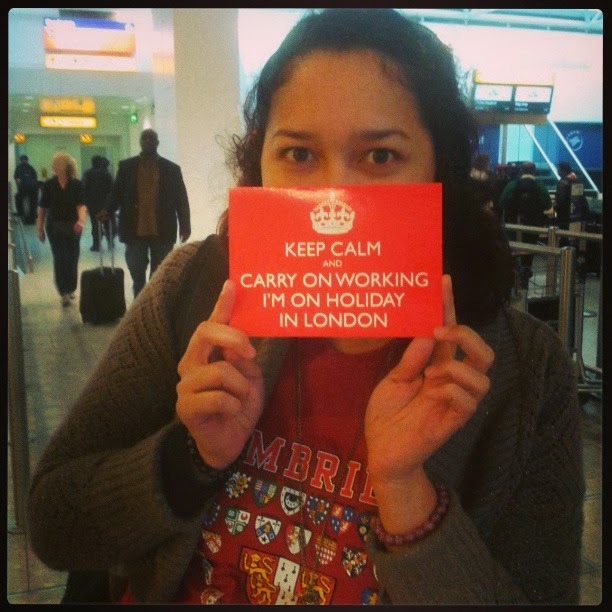 For the rest of the first week, we went on project visits around London, travelling via public transport. 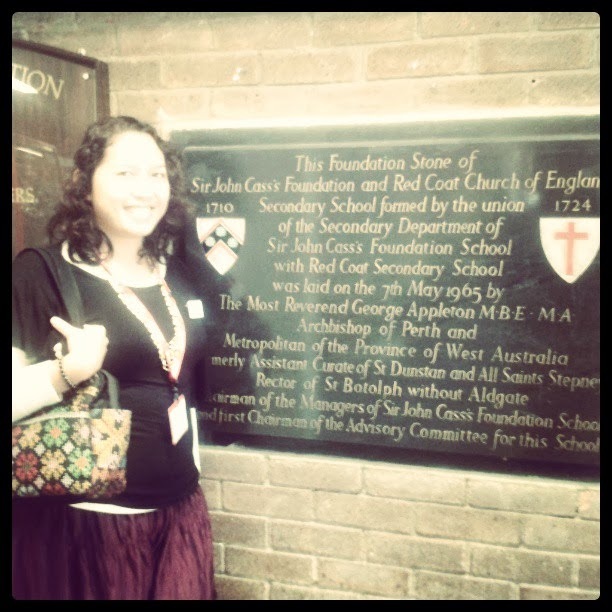 Our first stop was at Sir John Cass Redcoat Church of England School. 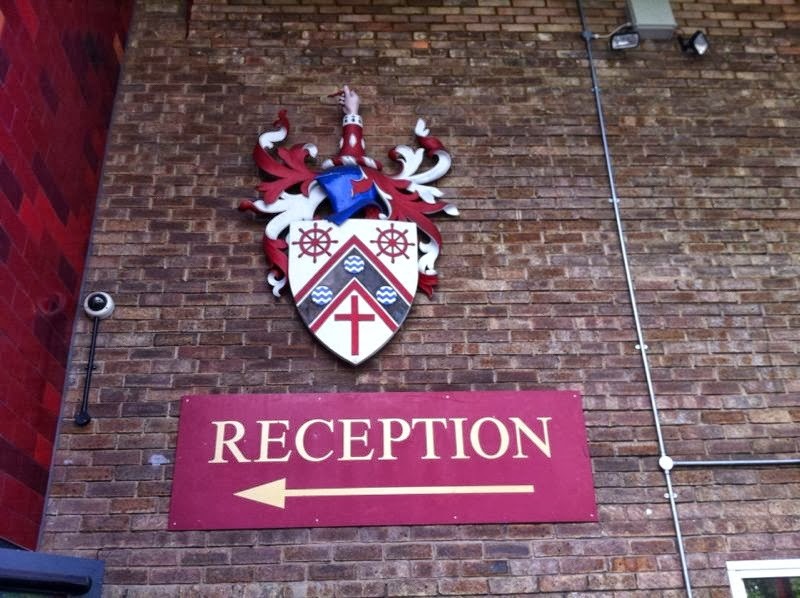 Up until 1966, it was a failing school but currently it has climbed up to the top 1% schools of the country. 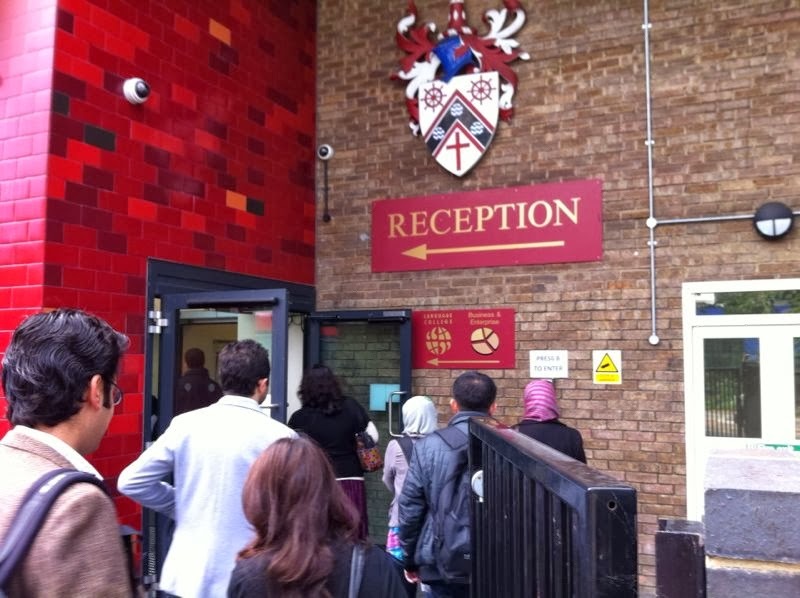 While it is a faith school, it is attended by roughly around 85% – 90% of non-whites, with Bangladeshi Muslims being the biggest majority. The school practices multifaith prayer at assembly every morning and each student learns in general about the 5 main faiths at school. In terms of leadership, the school focuses on developing independence of its students through security and safety by forming a culture of mutual respect for all, as well as ensuring that they have the best and most inspiring teaching staff to motivate their students to greater heights. I found it very interesting how in UK so much emphasis is placed on music and performing arts, where it is actually taught as a subject at school and not just something extra you picked up on the side on after-school hours. 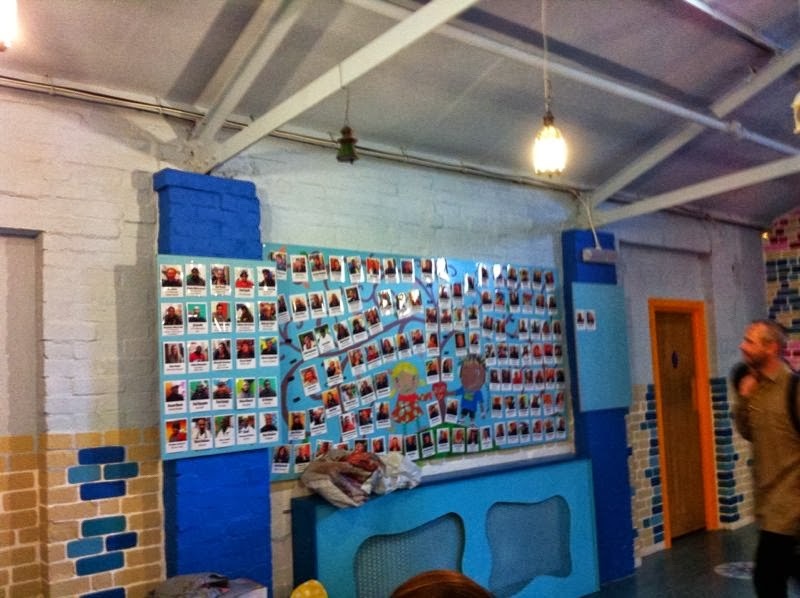 The next place we went to was Kids Company founded by Camila Batmanghelidjh in 1996, which provides practical, emotional and educational support to vulnerable inner-city children. 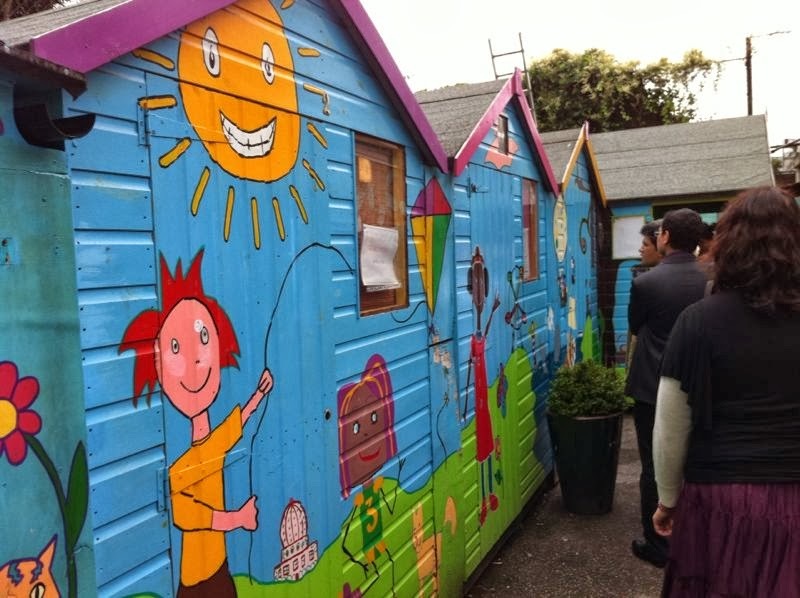 Their services reach 36,000 and intensively support 18,000 children across London, including the most deprived and at risk whose parents are unable to care for them due to their own practical and emotional challenges. Kids that come here have a variety of activities to choose from, including art, cooking, indoor sports, and even help for homework! We got to help out with some of the activities while we were there. 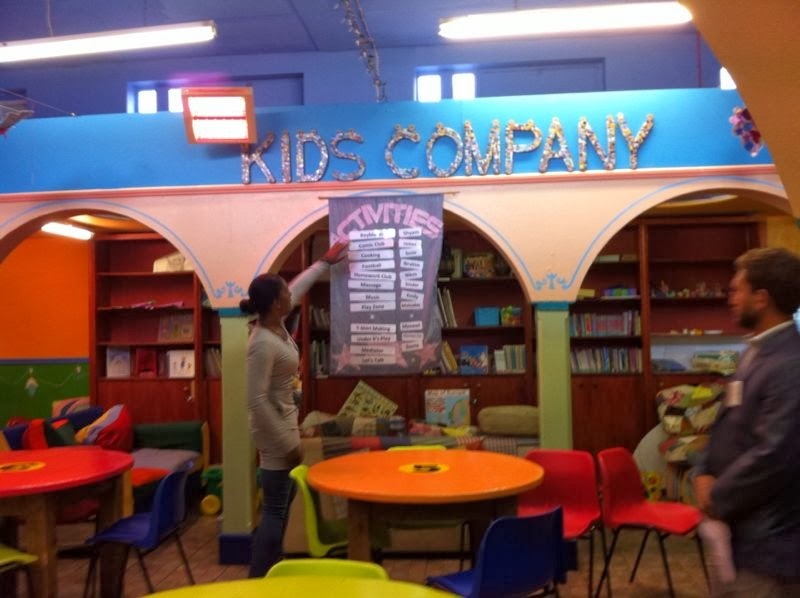 According to Kids Company, vulnerable groups helped by this organisation ranges from the ages of 0 – 24. On Friday, we were packed to leave Cutty Sark to move to our new place in St Catharine’s College, Cambridge. I was sad to leave my little cosy room in Greenwich which I grew to love, but also excited to see what Cambridge is like. On the way, we stopped for another project visit, this time to Community Links, an innovative east London charity based in Newham, running a wide range of community projects for over 16,000 people every year, boasting of 30 years of experience working with local people to support children, young people, adults and families. Through their national work, Community Links share lessons with government and community groups across the country to achieve social change. Here, we played a few games which teaches lessons on cause & effect, as well as to illustrate that in any situation, there are many players (some that you may not even know are there) who will be affected by any action. We also learnt about how the organisation deals with helping debt-ridden people, for example giving advice on which debts are priority (must be paid) and which ones are not. And with that, we closed a fruitful first week with Mosaic International Summit, setting our sights for an even better week at Cambridge. The first week had been mostly about learning from the best, and getting inspired on activities that we could do in our communities when we return.